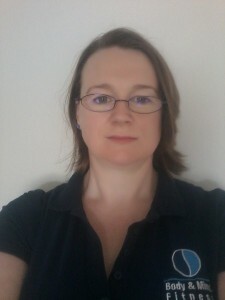 I started work in Body & Mind Fitness in January 2012 to help with administration, cleaning, and also to practice the massage therapy in which I’d qualified 10 years previously. My working background had been mainly administration but I had also turned my hand to lots of other jobs including bar work and retail management. While working at the gym, I started training in the bootcamp classes 3 mornings a week, and was delighted with the results I achieved. These results sparked the encouragement I showed to all new clients joining the bootcamp, especially the people who had never exercised previously, or who were overweight like myself. Things were going so well that I decided to re-train as a Fitness Instructor. 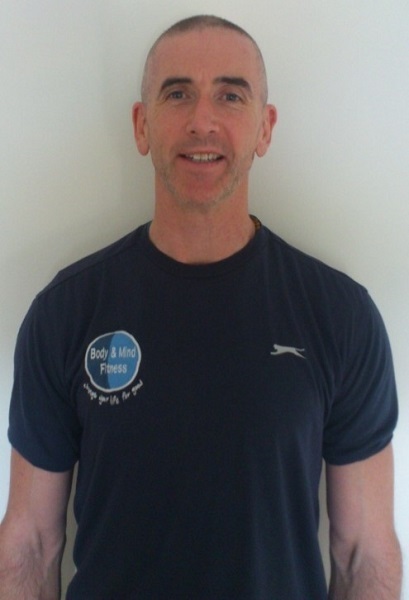 So in September 2012 I qualified as a Gym Instructor/ Group Fitness Instructor, and started teaching my own set of classes in October 2012. I have my own experience of struggling with weight loss and understand the difficulty faced by people trying to juggle family, work and regular training. Nearly 2 years after I began training I had dropped 9% body fat, 15kg and 3 dress sizes. However, over the last year I have struggled to keep it off due to stress and an ongoing injury. I understand that sometimes life can get in the way of regular training and fitness goals, but I believe the key is to keep trying, and also to change things if they’re not working. My real passion is teaching resistance training to women, and teenagers in particular. I believe that everyone, especially women, should feel comfortable and confident when they walk into a gym and that there is no disadvantage to being strong. Life is just so much easier and healthier when we’re fit and strong. That’s why in Oct 2014 we started a Girls Teen Fitness class. Apart from the regular timetable classes I teach during the week, I have also trained Kilnamona Senior, and Banner U14’s Camogie teams.